Pass the Book starts on 26 May 2010 and this year's selection is The Factory Voice by Jeanette Lynes. It is a light-hearted mystery that tells the story of four women trying to achieve their dreams while working at an aircraft factory in Northern Ontario during World War II. The story is told through different voices as their lives intersect and create a snapshot of life in Canada in the 1940s. 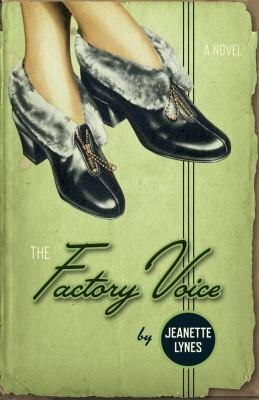 The Whitby Public Library and other libraries will be holding different programs throughout the year that highlight and showcase the themes presented in The Factory Voice. Visit the Pass the Book website for more information (www.passthebook.ca).